Posted on Monday, February 2nd, 2015 at 8:36 am. Food writers, photographers, entrepreneurs, chefs and more—we want to hear from you! Do you enjoy writing about Taiwanese food? Do you love cooking and/or posting videos or photos of Taiwanese food? Do you work with Taiwanese food in some way? If ‘yes’ to any of the above, join us in celebrating Taiwanese food this year! 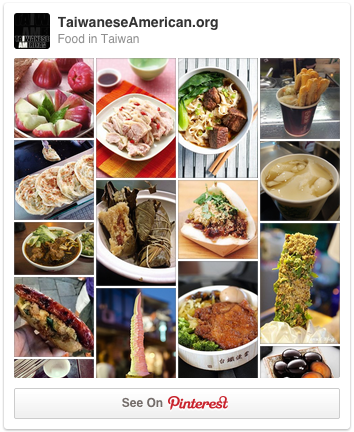 TaiwaneseAmerican.org is excited to launch “The Year of Taiwanese Food” campaign! From Lunar New Year until Taiwanese Heritage Week (May), we will be heavily spotlighting Taiwanese food, bloggers, restaurants, photos, videos, apps—you name it—from the Taiwanese American and international community. Contact us at news (at) taiwaneseamerican.org to join in the Taiwanese food fun—with “The Year of Taiwanese Food” in the subject title and what Taiwanese food stories or projects you’d be interested in sharing with the community. We are interested in hearing any of your ideas with possibly an especial interest in family food stories & memories and anything covering more obscure or regional Taiwanese foods. And yes, we are aware that every year is the year of Taiwanese food, but we’ve been wowed by the growing popularity of Taiwanese food and some of the amazing content out there–and thought why don’t we add to it? We also find 2015 especially exciting with the first Taiwan food cookbook ever published from a major U.S. publisher and Travel Channel’s “Bizarre Foods” Taiwan TV show feature (both out this March).